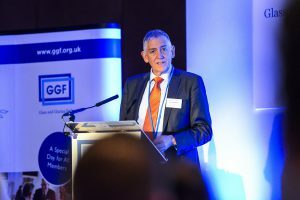 GGF Group Chief Executive Kevin Buckley shares his thoughts as he reflects on the success of the recent GGF Members’ Day, held at the National Conference Centre in Solihull. 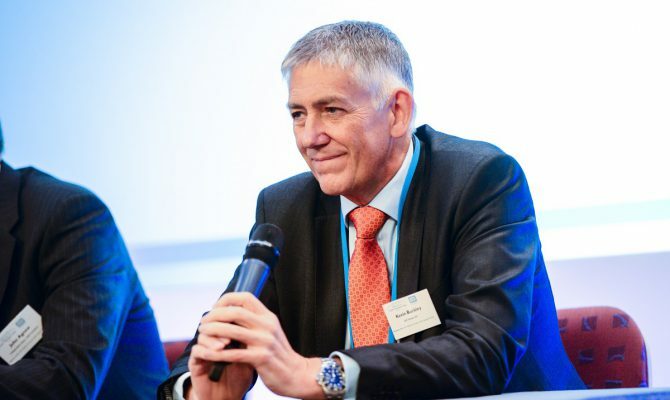 Being my first Members’ Day as Group Chief Executive, it was great to meet many Members and also to convey some of the things we are now doing to ensure the GGF remains the leading trade body for the industry. The event provided the perfect platform to tackle some of the hard questions that Members asked in the run up to Members’ Day and on the day itself. Questions that both myself and GGF President John Agnew were more than happy to answer. During my presentation and as part of the Open Forum panel, I hope I managed to convey the activities and progress around key issues on the technical, political and training front. I also touched on some of the findings in our market research activities including the Perceptions Survey and the Glass Shortage Survey. Competitive Advantage surveyed over 700 companies that are either GGF Members or are associated with one or more of GGF’s commercial subsidiaries. Survey respondents also included more than 100 non-GGF companies. The majority of GGF Members have a favourable view of the GGF brand, and membership of GGF and BFRC is seen as contributing to the credibility of their organisation. This is in part due to industry awareness, but also about access to industry expertise both via GGF and FENSA experts. The opportunity for further engagement via meetings is not being taken advantage of by a high proportion of Members. Main reasons given for not attending were lack of time, being too far away and not having been invited. Perhaps social media and online chat facilities could be used to improve access to these meetings and the expertise of the organisation. Although the GGF’s representation of the sector to government was viewed favourably by 77% of Member respondents, there was an opinion expressed from all respondent categories that more could be done to raise awareness with the consumer about the GGF, FENSA, BFRC, GGFi and the benefits they provide. We are responding to this by reviewing our approach to meetings and regional events, and a key element of my business summary was to ask for your support in this. And I’m sure as things progress you will see how Anda Gregory is working hard to address that last point too. 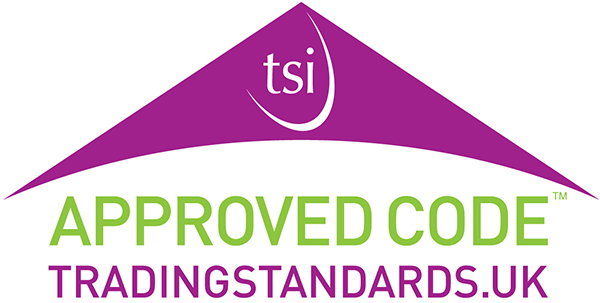 The Perceptions Survey headline findings will be communicated to Members shortly and then to the trade media over the next few weeks. The Glass Shortage Survey was conducted with the objective of measuring the scale and impact of this issue after listening to Members’ concerns. The outcome of the survey confirmed that some companies are indeed affected and for them the impact could be severe. The GGF will keep a watching brief on this issue and we ask companies to contact us if they have any further views or concerns on the matter. In my presentation, I was keen to stress that the GGF and its commercial subsidiaries continue to serve almost 7000 companies in the industry. It is thanks to everyone connected to the organisation that the GGF Group is much bigger and more far reaching than just the staff in the offices in Rushworth Street. We have had to adapt and change in recent times in order to meet the many challenges of the competitive world and we will continue to do so. These changes take time and patience but we are making progress and with your support we will continue to achieve great things. In the days following Members’ Day, I am pleased to have received positive messages from those who attended. I enjoyed the opportunity to talk to you directly and would like to extend my thanks to all of you and to all of our sponsors. A special thanks also to my colleagues: Russell Day, who delivered an excellent presentation on the impact of the Grenfell Tragedy; Richard Hearn, who conveyed the sterling work he is doing on training; and Anda Gregory, who highlighted the progress of the GGF Commercial companies and tantalised us with the parting message, “Watch this space…”. Last but by no means least: thanks to the GGF Group Marketing Team for putting it all together and ensuring the whole event ran smoothly. From the networking event in The National Motorcycle Museum and the fascinating and exclusive tour of the museum the evening before, right through to the GLASS Charter Awards presentation to Members at the end of the conference. As proceedings came to a close and everyone said their farewells, I reflected on Members’ Day 2018 as the continuation of a new era – an event where we introduced some of the new team and the Board to Members and demonstrated our approaches to dealing with key issues affecting the industry. To say again what I emphasised in my presentation to you: the true strength of the GGF comes from the support, time and effort that Members dedicate to our many activities including working groups, committees, standards organisations, your experience of the industry and much, much more. This is what keeps us at the pinnacle of what we represent. The GGF has a long and impressive pedigree which we intend to protect, but we live in a competitive world and to survive we need to adapt and embrace new ideas. So again, I ask you to continue to support us in our endeavours on your behalf.